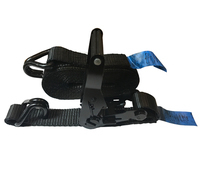 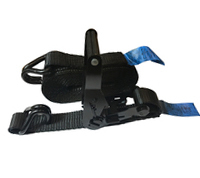 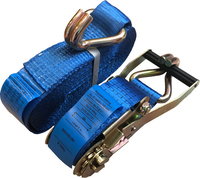 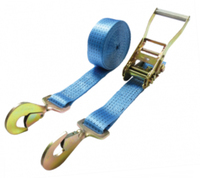 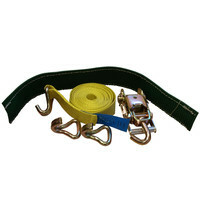 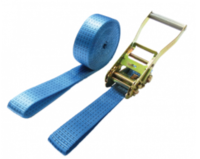 Car Recovery Ratchet Strap with linkstrap - 4.8m x 50mm - 5000kg break force. claw hook end fitting, soft link strap with wear sleeve. 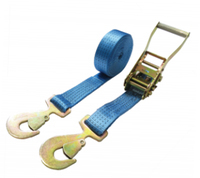 The strap is designed to tension around the wheel giving multi directional tensioning onto a recovery or transporter vehicle deck. 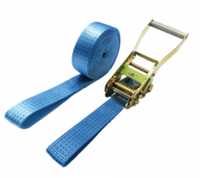 Available in length of 4.8 metres. 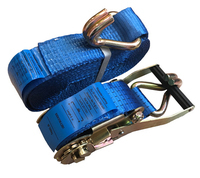 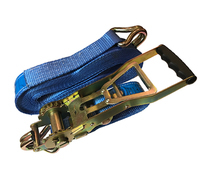 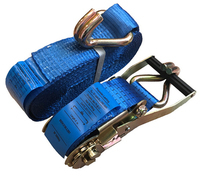 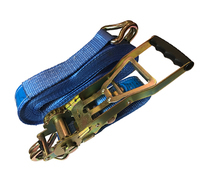 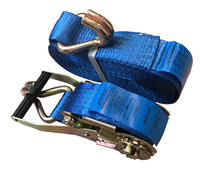 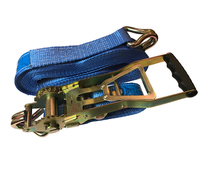 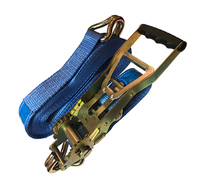 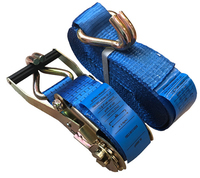 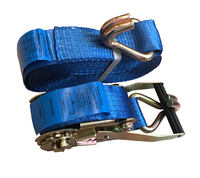 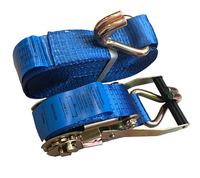 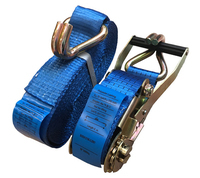 Where applicable all lashings and straps are fully compliant with EN12195-2: 2001, the European load restraint standard.